Do you enjoy the bright lights, breathtaking music and awe-inspiring sights of a great theatrical production? You’re not alone; over 14.5 million people bought tickets to a production in London’s West End in 2013, making the West End the largest English-speaking theatre audience in the World. In total, this earned the theatres over £585 million in ticket sales, up 11% from the year previously. When you are talking about a sum of money this big, the inevitable question arises: where does it all go? This money is divided up into, roughly, four chunks; each piece going to one of the four chain theatre groups who, together, own and manage over 30 (out of around 40) of the West End’s most well-known theatres. Despite the first theatre in London being constructed in 1576, these chain theatre groups have only arisen and accumulated their significance in the last 40 years. Positively, these chains do support the theatre business as a whole – they ensure that major theatre productions continue to be put on, and they ensure a steady maintenance of interest in theatre as a medium. As a valuable part of British culture and identity, it is a good thing that its existence is in some sense secure. However, British theatre existing for the sake of existing is not a wholly worthwhile ideal. Major theatre companies are backed by investors who, naturally, want to see a return on the money they invest, and will therefore focus on putting on well-known, easy-to-market productions involving big names. This has been the case since Shakespeare’s day when he converted (relatively) well-known folklore tales into plays which would star big names like Edward Alleyn. Interest in theatre however, and interest really in any artform for that matter, is truly maintained through innovation. The propensity of major theatre companies to often play it safe does not do this. It is at independent theatres that this happens. It is there that you will see undiscovered actors and controversial writers given the chance to show what they can contribute. Obviously this does not mean the quality will be necessarily higher, but it does mean that you are more likely to see something different. We at South London Club get that, we feel you. We feel you other guys too – lord knows we loved Jersey boys as much as everyone else, but we like sticking up for the little guys. Moreover, for a fraction of the price, you’ve got very little to lose. Independent theatres range greatly in size, type and frequency of events/performances. Some are large, with famous actors and playwrights vying for artistic prestige in purpose-built theatres to audiences of up to around 1,000 people, while others take the form of a church hall or community building that is transformed into a set for young, developing actors, performers and writers. 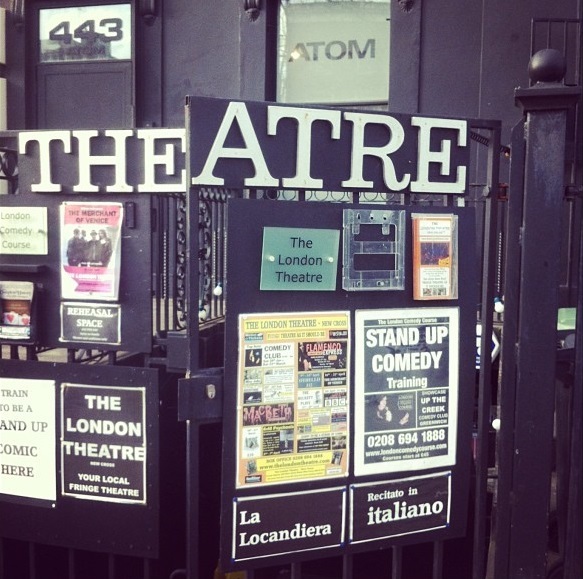 To make things easy, here’s our list of the 22 best independent theatres in London – south of the river, obviously – divided into three bands; the small-capacity theatres, to middle-sized permanent theatres, and the large, well-known permanent theatres. Founded in 1999 by Antonio Ribeiro, the Blue Elephant is a wonderful fringe theatre with an eclectic programme featuring both old and new work from across the performing arts, including both physical and dance theatre. Working hard to support new artists based in Southwark and South London, the Blue Elephant Theatre has something for everyone and is definitely worth a visit – check out their programme here. Get down there, support a great independent, and get 10% off on tickets with your South London Club card. Unlike many other theatres on this list, the London Theatre is not a theatre tacked onto a pub or bar, instead it is a theatre with a bar attached to it. Opening back in 2011, the ambitiously named London Theatre taps into the student-driven creative hub of New Cross to stage a wide range of plays on a weekly basis. Providing a stage for new writers and directors from around Lewisham borough, the London Theatre does exactly what a theatre should do by pushing the boundaries. Check out what’s on here, take your South London Club card and get a reduced entry fee of £8 (normal prices £10-£15). This aptly-named theatre sits above The Bread & Roses pub, and uses its programme to celebrate equality, diversity and artistic quality. With both in-house performances and visiting companies, this is a great place to spend an evening. See what’s on here. Opened 23 years ago in 1994, the Brockley Jack Studio Theatre sits next to the famous Brockley Jack pub. With the theatre led by the stellar team of Kate Bannister (Artistic Director) and Karl Swinyard (Theatre Producer), the Brockley Jack has continued to cement its place as one of the premier intimate theatres in South London. Check their upcoming programme here. A non-professional theatre based at Stanley Halls in South Norwood, the South London Theatre has been going since 1967 when they used to perform in an old Victorian Fire Station. Made up of willing members who run and perform all the productions the South London Theatre is more than just a theatre, why not do more than just watch a performance? Find out more about their auditions here and their programme here. As the ‘omni’ part might suggest, this is a multi-arts venue that is committed to not only provided a platform for innovative writers and directors, but also providing support for new artists. Based in the Old Clapham Library, find out what’s on at this ambitious venue here. Perched atop The Latchmere public house, Theatre 503 aims to provide a chance for anyone in the local area to take part in theatre. This award-winning theatre often provides the first chance for the next big thing to take part in professional level dramatic arts, have look at what they’ve got going on here. Established back in 1988 by Michael Kingsbury, the White Bear Theatre has gone from strength to strength, providing a starting points for the likes of Kwame Kwei-Armah and Tamzin Outhwaite. Stationed above the White Bear pub, check out what they’ve got on in the coming months here. Having been set up in 1998, the Union Theatre has this year moved across the road to a new venue. With a reputation for staging great musicals, if you’re fan of jazz-hands (who isn’t) this is probably the best bet for you. Find out what next great performance they have on here. Opposite the historic Oval Cricket Ground, home to the famous Surrey County Cricket Club, the equally historic Ovalhouse Theatre has been commissioning new work that confronts contemporary social and political issues for over 50 years. With the company moving to a new building in Brixton, be sure to see a performance in this prestigious space, which provided the starting point for Pierce Brosnan (among others). Find out what’s on here. Theatre Peckham is a registered charity that was founded by Teresa Early around 30 years ago, and in 2016 moved into brand new facilities. It seeks to engage children and young people in the local area with the performing arts, and one of its major success stories is the man who has taken Peckham into space – John Boyega. Find out the times of their performances here. Having been founded in 1979 at the London Oratory School as an after-school theatre club, the Stockwell Playhouse, formerly LOST theatre, has grown quite remarkably, as it moved into premises in Fulham Broadway in 1982, where it introduced the likes of Ralph Fiennes and Mackenize Crook to theatre, and then to sunny Stockwell in 2010. Find out what’s on next, and see the potential stars of the future here. Named after the man who for many years utterly defined the word entertainment, The Bob Hope Theatre, formerly known as the Eltham Little Theatre, is a members’ theatre that has been around since 1946. 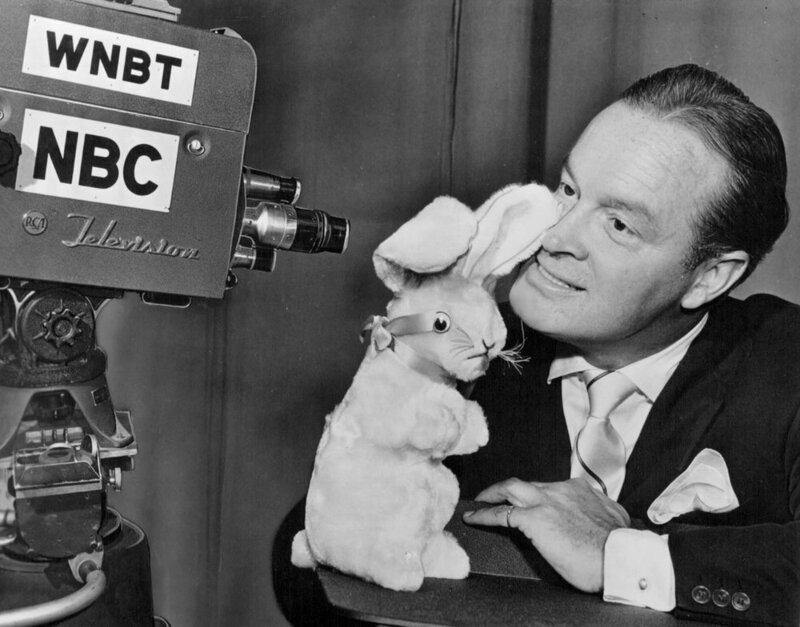 Having run into trouble in 1979, Bob Hope, the then equivalent of Beyonce in terms of fame, decided to fund the theatre company based in his hometown and the rest is history. Find out what show they’re putting on here. A community theatre that serves the Putney area of South London (hence the name), the PAT has been providing a dramatic avenue for locals since 1964. 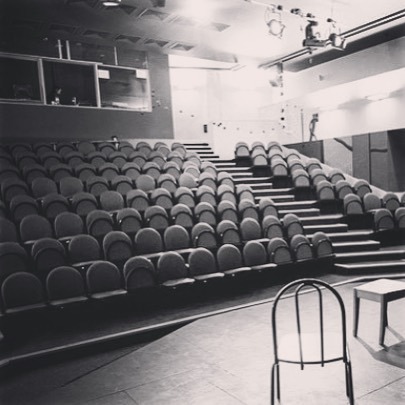 With both a main theatre with a proscenium arch, and a more modern studio theatre, the Putney Arts Theatre has a great programme which you can check out here. 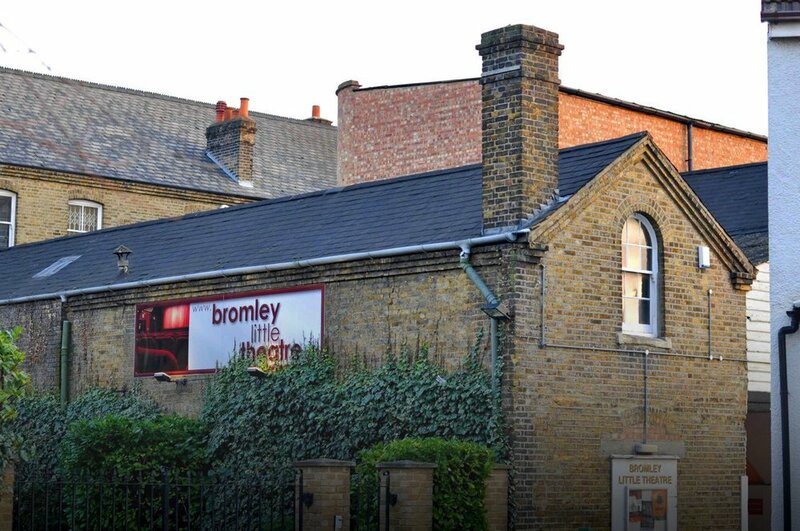 Formerly a Victorian bakery, the Bromley Little Theatre is a members’ theatre that presents a full-length play every month (except August, when their youth group puts on a show). Their aim is to provide and present outstanding theatre for everyone, featuring both classics, and completely new plays. Find out what they’re putting on next here. GLYPT aims to make high-quality, inclusive theatre aimed at young people aged 2-25, and has been doing so for over 40 years. Operating out of the Tramshed Theatre since 2009, you can find out what shows they’ve got on here. In Hiindustani/Urdu ‘Tara’ means ‘star’ and, fittingly, Tara Theatre seeks to shine a symbol of the wonderful effects of multiculturalism. Showcasing work that truly is very different to most of the others on this list, Tara Theatre brings a taste of India and beyond to the South London theatre scene. Have look what they’ve got on here. 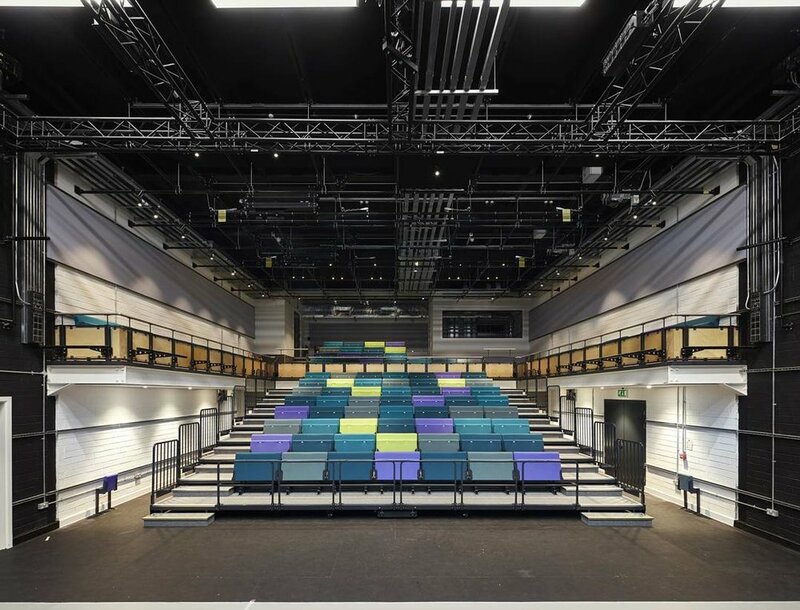 Truly a centre for creativity in South East London, The Albany is a multi-purpose theatre that sits in the heart of Deptford, and provides a stage for numerous different performing arts. Driven by the cultural diversity and creativity of South East London, The Albany seeks to reflect the community it is based in and act as a place where the creative individuals of Lewisham can grow. Check out what they’ve got on their programme here, and don’t forget to bring your South London Club card which entitles you to 10% off in their two cafes. Greenwich Theatre is a large theatre that seeks to support drama at its grassroots through its in-house productions and by providing a rehearsal space, and large performance space for companies. Situated in the heart of Maritime Greenwich, the Greenwich theatre is an important pillar of the theatre scene in South London, and you can find out what they’re putting on next here. A Grade-II listed building, this absolutely beautiful theatre was built in 1932, and is a great example of Art Deco design. Featuring an 800-seat main theatre, and a small 80-seat studio theatre, you might just forget you’re in Catford when you enter, as it provides the perfect setting for its very diverse programme of shows, which you can look at here. Currently under the leadership of artistic director Matthew Warchus, having been previously led by the fantastic Kevin Spacey, The Old Vic is a historic theatre that has been open in its current state since 1899. One of the premier theatres in all of London, let alone South London, the Old Vic has played host to some of the most famous names in theatre including Laurence Olivier. Still attracting massive names, you can check out its star-studded programme here. Having been open now for 40 years, the Churchill Theatre has become synonymous with the dramatic arts in Bromley, and is one of the leading live entertainment venues in South East London. Featuring everything from, musicals, drama, comedy and dance (to name a few), the Churchill Theatre is well worth a visit by all across South London. Find out more about their programme here.